(1) On Veterans Day: “Ten Science-Fiction and Fantasy Authors Who Served in the US Armed Forces” from Suvudu. 9) Elizabeth Ann Scarborough Elizabeth Ann Scarborough was an Army nurse during the Vietnam war, an experience she has drawn upon in her fiction on occasion. She is the author of several series, including Acorna and Petaybee, but her modern fantasy novel The Healer’s War is perhaps the most autobiographical. Interviews with Scarborough aren’t easy to find online, but here’s one in which she mentions her nursing experience. (2) N. K. Jemisin reacts to dropping the Lovecraft statuette from the World Fantasy Award in “Whew”. That’s a sigh of relief. One less thing to feel conflicted about. One more thing I can celebrate freely, easily, and without reservation. (3) Rocket Books is running a series of sf author trading cards. Here are the four most recent sf all-stars. 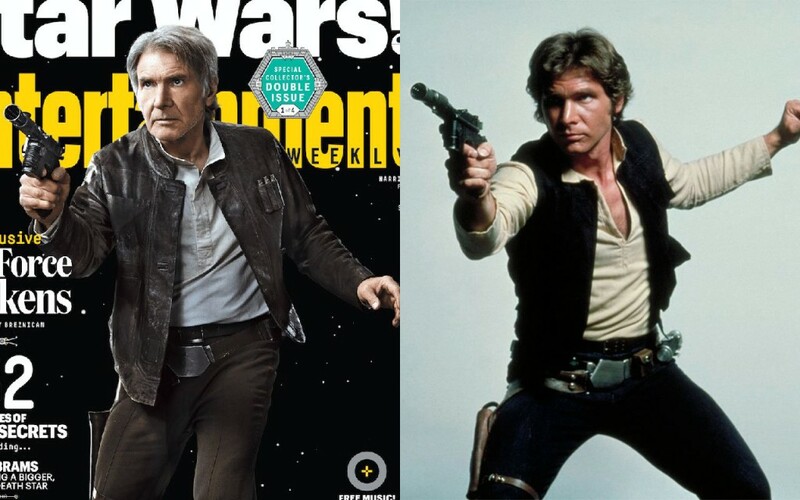 (4) Entertainment Weekly had Harrison Ford recreate his classic pose as one of four new covers for their upcoming Star Wars special issue. …Since many convention centers outsource functions like their network management, it can be harder for planners to haggle down the price of Internet access, but the arrangement spares the center from having to finance technological upgrades and might provide it with a commission as well…. “Basically, you’re looking at six figures or more to wire up the place, and every couple of years you’ll probably want to do another low six-figure upgrade,” said Ben Yalow, a recently retired information technology professional with experience setting up and configuring networks in hotels and convention centers…. Hospitality industry experts predicted that the F.C.C.’s recent actions would force event facilities to become more competitive in their pricing, so as not to lose out entirely on the Internet revenue stream…. (6) “A member of Britain’s Parliament feuds with store over ‘Star Wars’ shoes”. A member of Britain’s Parliament has been nicknamed “Shoebacca” after using House of Commons letterhead to complain about missing out on Star Wars shoes. Angela Rayner, 35, a Labor party member who represents Ashton-under-Lyne, used notepaper with House of Commons letterhead to write a letter of complaint to the Irregular Choice shop after the store sold out of Dan Sullivan-designed Star Wars shoes that featured R2-D2 figures as the high heels. (7) David Gerrold responded to the latest news about accessibility and harassment policies on Facebook. This excerpt is what he said about accessibility. For the past two or three years, when I have been invited to conventions, I have requested that panels be made up of qualified individuals of all genders. While sometimes it happens that a panel ends up as all-male or all-female (as a function of subject matter), con programmers should make every effort to be inclusive. In the future, I will be expanding that request to include ramps and other appropriate accessibility requirements for disabled participants. Larger conventions should consider having a sign-language interpreter for deaf attendees. I have to make it a request, not a requirement — because some conventions might not have the resources. A convention survives on its attendance. Small cons can’t always afford these things. The rule of thumb is to spend the money where it will serve the most people…. A convention is supposed to be a gathering of the community, a place where we share our love of the genre and go home inspired. We don’t want our friends in fandom going home unhappy. The unwritten rule in fandom has always been that everybody is welcome, everybody is included — but it’s not enough to have that as an ideal, we have to demonstrate it by accessibility and inclusion. (8) On Veterans Day, Cedar Sanderson recommended reading Tom Kratman’s columns for EveryJoe.com based on Robert Heinlein’s Starship Troopers. Here are the links to Kratman’s “Service Guarantees Citizenship (Part I)” and “Service Guarantees Citizenship (Part II)”. We’ve been discussing the system put forth in naval officer and science fiction author Robert Heinlein’s book, Starship Troopers. For some background see last week’s column. For more background, read the book and spurn the wretched movie. 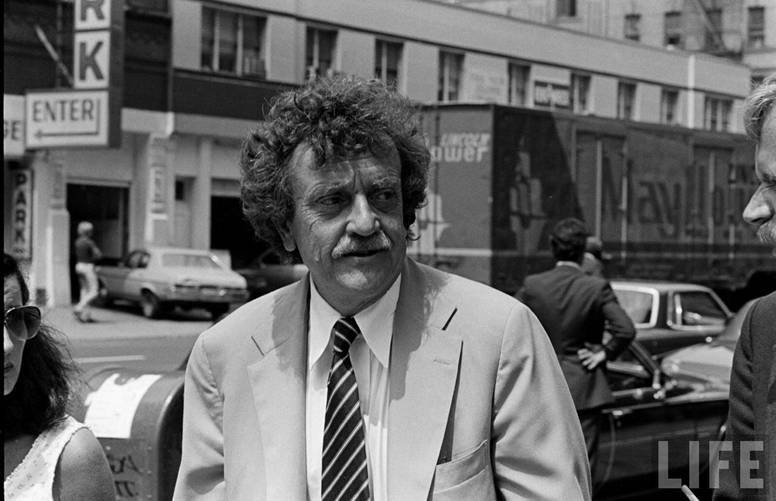 So why are we – those of us who are in favor – even concerned with radically changing the system that has, and for the most part well enough, seen us through over two centuries? It’s simple: We think that system’s time has run, that we are not the people we were and that our ruling class is no longer worthy. Indeed, it’s not even trustworthy, let alone generally worthy. We observe that our political and economic fate has fallen into the hands of the denationalized rich, who frankly don’t care a fig for us. We see that where once we were an “ask what you can do for your country” people, we are increasingly indistinguishable from the worst third-world kleptocratic and nepotistic hellholes. We see the PC fascisti replacing us with unassimilable foreigners, often enough from cultures that are not just incompatible, but which actively hate us. We see that we are fracturing in ways that are arguably worse than anything we’ve ever seen before, worse even than before and during the Civil War. Yankees and Rebs used to, at least, mostly speak the same language. Our language today, as spoken by left and right from north and south, may sound the same but the words and concepts have changed meanings. In short, we think that we either, in Brecht’s words, elect a new people, as our denationalized and corrupt rulers seem to be trying to do via immigration, or we fall hard – so hard we’ll never stand again. Unanswered question, from a thread: what if the World Military Fiction Award were a statue of Nathan Bedford Forrest? Would you consider a black novelist childish for questioning the appropriateness of that choice, or the award committee too PC for considering that maybe he had a point? November 11, 1982 — The space shuttle Columbia blasted off on the first commercial space mission. (12) David Kilman at Amazing Stories devotes the November installment of Scide Splitters to “1941 Retro Hugo Eligible Novellas”. Two of the three novellas I will be exploring today are ones that I read at an early age, albeit in modified form as they were incorporated into The Incomplete Enchanter. My reviews here, however, are of the stories as they appeared in their original form published in Unknown Fantasy Fiction. Even though all three were advertised as novels when first published, I have confirmed that all three are of novella length (17,500 to 40,000 words). 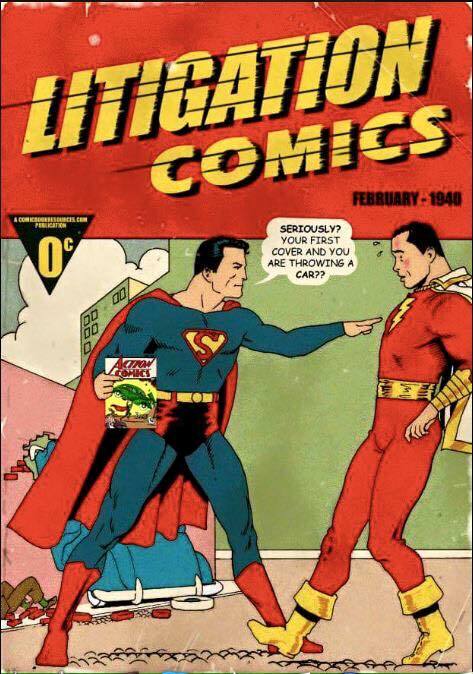 (13) Litigation Comics from The Line it is Drawn #265 – “One Moment Later” on Famous Comic Book Covers at Comic Book Resources. Joe Sherry: Two things stand out for me. One: How quickly Kurtz gets into the action of the story and how tight the timeline is here. Everything that happens is so immediate, but it feels appropriate with the political risk of Kelson being able to hold on to a crown he is barely prepared to accept because he is only about to hit his legal majority all the while he is about to face a challenge from an external threat with an internal agent. I’m not sure that stuff really gets old when it’s written so smoothly. Two: This may be colored by how I feel about some of the later novels, but what I like is the minutiae, the details of how things work behind the scenes – the Council sessions, the rituals of the church, the tidbits on Deryni history. (15) Larry Correia, in “The 2015 Still Not a Real Writer Book Tour Recap” at Monster Hunter Nation, shows how to make the jump from Sad Puppy to Bestselling Underdog. One stop was at Powell’s in Beaverton. It is a great store, and I had a great time with a good crowd. But I saw later on Twitter somebody had apparently seen me there, and taken to Twitter to talk about my pathetic showing, and how nobody was there at the lamest book signing ever, and hashtag something about how I was the saddest puppy of all. That struck me as odd, since we had over forty people show up, which by most author’s reckonings is great, and we filled the signing area to the side. But then I realized what he’d probably seen (mistakenly thinking that a Puppy Kicker was honest and not just lying about me on Twitter, silly me). I’d gotten there almost an hour early, and had killed time just hanging out in the audience with the seven or eight people who’d shown up really early too. I figured that was what he’d seen, because by seven o’clock we had filled the chairs, and more people kept coming in the whole time. So being my usual diplomatic self, I responded and told him that the “big hand goes on the seven, doofus”. Luckily, some of the fans had taken pictures of the crowd too, and since you guys are so super helpful, you posted the photographic evidence to the dude. This of course came as a surprise to the people who work there, and my more famous author friends who sell ten times as many books as I do, who only got around 200 there. Basically, you can count the number of mega superstar authors who routinely get five hundred people at a book signing on your hands, and have fingers left over. Puppy kickers are harsh, man. I think the average book signing in America is like five to seven people. But I don’t make the rules. Five hundred it is! Anything less is shameful garbage. (16) Max Florschutz tells his own strategy for “Dealing with Detractors” at Unusual Things. For the most part. But seriously, this is usually the best solution. Because if you try to do battle with them, be they trolls or individuals/groups in power, you’re basically throwing gas on a flame. It’ll ignite, and sometimes that can catch you on fire as well. If nothing else, a detractor will try their hardest to make sure that if they’re going down, they’re going to take you with them, any way you can. Now, some detractors can take things to the point where you need to confront them in some way or another. But you know what? You see, the thing about these detractors is that they’re toxic individuals to one degree or another. And one way or another, unless they change, they’ll end up poisoning whatever atmosphere they’re involved in. Eventually, people catch on. It might take years, but eventually, one way or another, time has a way of catching up with those who’ve made their hobby tearing down everyone else and eating away at their own pyramid. And as long as you haven’t let them catch you in their claws, they probably won’t take you with them when they fall. Ignore them, work with those critics and individuals who are concerned with making your work the best it can be, and detractors will remove themselves from the creative pool; exercising a form of social Darwinism. (17) Mike McMahan has written an ST:TNG parody, Warped: An Engaging Guide to the Never-Aired 8th Season. The official parody guide to the unaired eighth season of Star Trek: The Next Generation, based on the popular @TNG_S8 Twitter account from creator Mike McMahan!In the basement of the Star Trek archives, behind shelves of U.S.S. Enterprise NCC-1701-D models, bags of wigs, and bins of plastic phasers, sits a dusty cardboard box. Inside is a pile of VHS tapes that contain never-before-seen episodes and behind-the-scenes footage for something truly amazing. The world thinks there are only seven seasons of Star Trek: The Next Generation, but there’s one more. A secret season. (18) Marvel’s Jessica Jones – Official Trailer #2, coming on Netflix. Suvudu gives a detailed rundown.